Life On Mars star John Simm plays an ex-cop in gripping new drama Intruders. 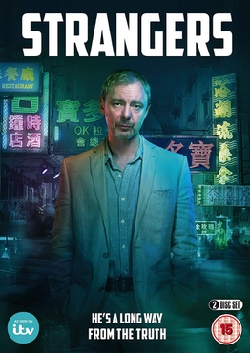 John Simm stars alongside Oscar-winner Mira Sorvino in the “gritty” series Intruders. 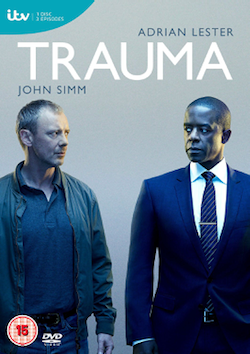 Whether it’s the cult Brit flick Human Traffic or a clever cop show such as Life On Mars, John Simm brings a certain cachet to a project. He oozes cool in person too, sipping on a Bloody Mary and rocking a black leather jacket and hipster-looking beard in a plush Cannes hotel. Until, that is, talk turns to his favourite TV shows, and the 44-year-old reveals he’s a huge Antiques Roadshow fan. As for the beard – “it’s not a mid-life crisis” – Simm has grown it for an upcoming ITV drama about Alec Jeffreys, the scientist who pioneered DNA fingerprinting. But before that, there’s new TV drama Intruders to promote. 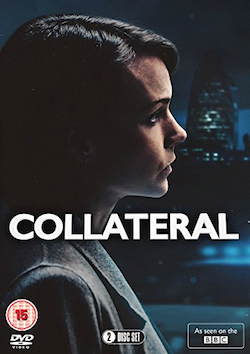 Simm stars alongside Oscar-winner Mira Sorvino in the gritty paranormal series, which has just aired in the US on BBC America. The Leeds-born, Lancashire-raised actor plays a former Los Angeles cop in the show, about a secret society trying to chase immortality by seeking refuge in other peoples’ bodies. Simm’s character Jack’s world begins to unravel when his wife Amy (Sorvino) goes missing and a high school friend also turns up on his doorstep looking for help with a murder case. “Nothing is as it seems in the show, nobody is as they seem,” explains the actor, his enthusiasm for the project evident. 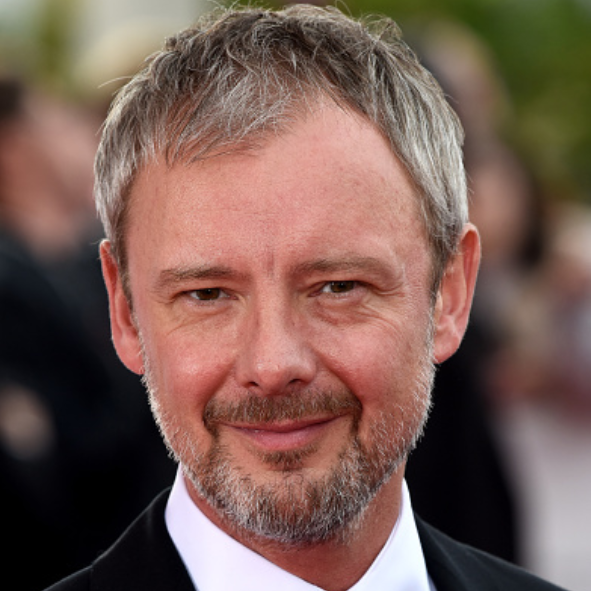 Playing a policeman is nothing new to Simm – he’s been a time-travelling officer in Life On Mars, and a detective on the run in ITV thriller Prey. But cop-turned-author Jack is different. For a start, there’s his US accent. “You automatically think you can do an American accent because you’ve grown up with it – I was running around being Starsky & Hutch [as a kid]. Still am!” says Simm, who retains a soft Northern accent, despite years living in London. “The most nerves I had were at the [script] read-through. I was terrified. I’ve never been nervous for a read-through, well, maybe when I was 22, for Heartbeat or Cracker,” he says. An acclaimed actor in his own right, Simm needn’t have been concerned. After moving to the capital aged 19, he attended the Drama Centre London before landing roles in nineties TV dramas Cracker and The Lakes, and films like 1999’s Human Traffic and 2002’s 24 Hour Party People. In recent years, as well as Life On Mars and the political thriller State Of Play, he’s appeared on Doctor Who (as villain The Master) and juggled filming BBC One period drama The Village in the Peak District with working on Intruders in Canada. “It was great in theory, but in reality, it was a hell of a workload. I’d be in most scenes in Intruders for five weeks, then straight back and the same with The Village, and then back again. There was a lot of travelling involved, a lot of jet lag…” he says. Ryan and Molly, Simm’s two young children with Magowan, saw their dad in Doctor Who, but don’t tend to watch much of his back catalogue. Between troubled Jack in Intruders, and alcoholic farmer John Middleton in The Village, Simm does a fine line in bleak, gritty roles. “It’s not that I like bleak, it’s usually that they’re the more interesting roles, with more layers,” he says. “The thing I like about Intruders is that you don’t have any answers for a while. Three episodes in, you’re still thinking, ‘What is going on?’, but it draws you in and you want to find out.